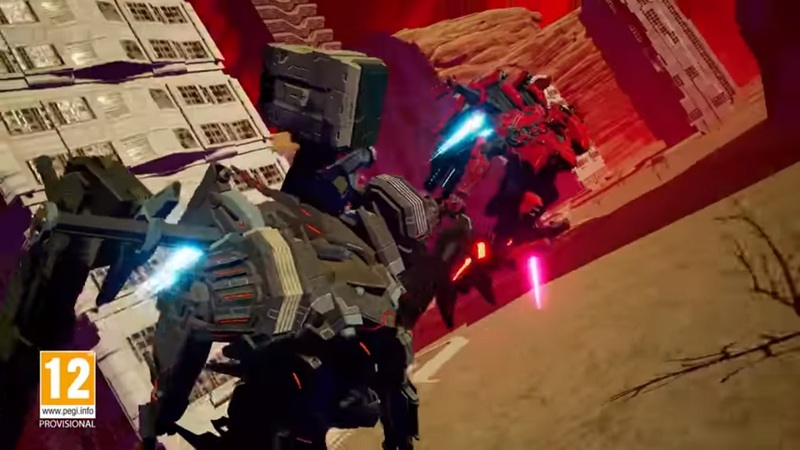 Game company Nintendo recently revealed a new mecha video game called Daemon X Machina during their E3 2018 Direct. The new video game is clearly of a mecha genre with some inspiration from popular mecha game franchise Armored Core. It will feature mecha designs done by Shoji Kawamori who is known for his designs from anime series focusing on mecha like Macross. He also worked on the Armored Core series. The game is produced by Armored Core 2 and 3 producer Kenichiro Tsukada, No More Heroes character designer Yusuke Kozaki, Soulcalibur composer Junichi Nakatsuru, and Ryo Hamamoto from the Tekken series fame. They are all headed by Monster Hunter Stories director Ken Awata and chief designer Ken Karube. The game is currently in development stages by Marvelous First Studio using the Unreal Engine 4. It will be launched sometime next year.